Site classification / description Natura 2000 site, Special Area of Conservation, Special Protection Area, Ramsar site, complex mosaic of habitats, SSSI, NNR. Key Species types Dartford warbler (Sylvia undata), nightjar (Caprimulgus europaeus) woodlark (Lullula arborea) ,honey buzzard (Pernis apivorus) southern damselfly (Coenagrion mercuriale),stag beetle (Lucanus cervus), great crested newt (Triturus cristatus), Bechstein's bat (Myotis bechsteinii), barbastelle bat (Barbastella barbastellus), over-wintering hen harrier (Circus cyaneus); breeding waders e.g. 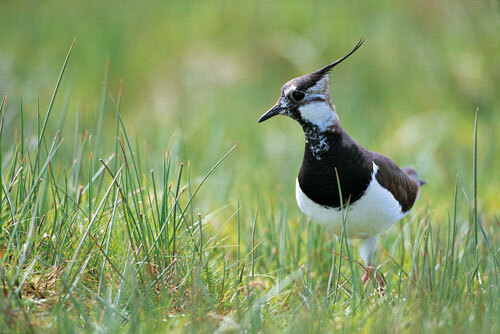 lapwing (Vanellus vanellus) , redshank (Tringa tetanus), curlew (Numenius arquata) and snipe (Gallinago gallinago), other specialist invertebrates such as fairy shrimp (Chirocephalus diaphanous) and tadpole shrimp (Triops cancriformis). Key Habitats Wet and dry heaths, valley mires including alkaline fens, transition mires, quaking bogs, and Rhynchosporion habitat. 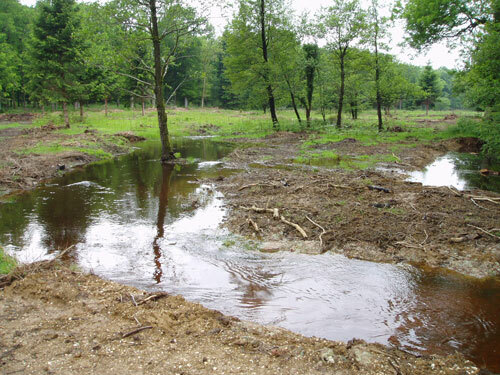 Wet and dry acid grassland, wood pasture, beech woodland, oak woodland , riverine woodland (alluvial forest) and bog woodland, rivers, streams, oligotrophic and temporary ponds and Inclosure woodland managed for silviculture. 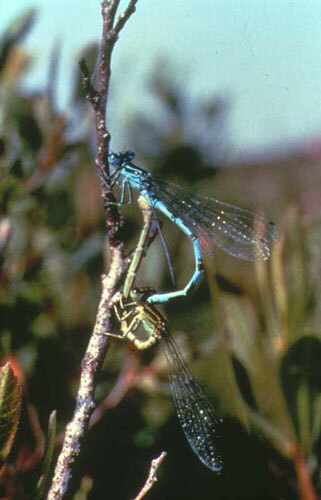 Key management issues The quality of the habitats of the New Forest, and the rich diversity of species which they support, is dependent upon the management activities of the various owners and occupiers. Of fundamental importance is the persistence of a pastoral economy based on the existence of Rights of Common. The commoners' stock, mainly cattle and ponies, roam freely over extensive areas of the New Forest, playing a vital role in keeping open habitats free of scrub and controlling the more aggressive species such as bracken (Pteridium aquilinum) and purple-moor grass (Molinia caerulea) ,and maintaining the richness and variety of heathland and wood pasture habitats. 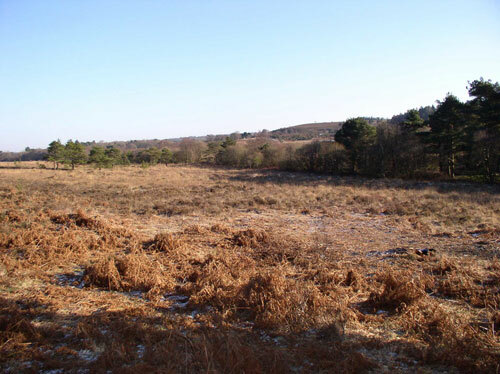 This is complemented by the annual heathland burning and cutting programmes which ensure that at any one time there is an extensive range of structurally diverse habitats available for plants and animals to utilise. The SAC Management plan was prepared in 2001. 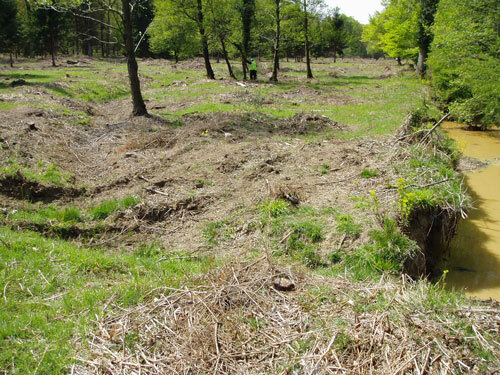 The UK government is obliged to take steps to avoid any significant pollution, disturbance or deterioration of the habitats on this site and through its Agencies works closely with owners and occupiers to conserve, enhance and maintain the special habitats. Organising at least one Green Days event per year At least one Green Day event will be planned for each year of the project and around 15 - 20 other events (guided walks, site visits, talks and presentations) will be held in 2005 to promote the work of the LIFE3 project and Natura 2000. Promoting Natura 2000 at the local level Our project aims to raise awareness and promote the LIFE3 project and Natura 2000 at a local and regional level. Our project publicity material (leaflets, posters, newsletters, exhibition/display panels) contains information on Natura 2000 and is distributed to a local audience and at major regional events. 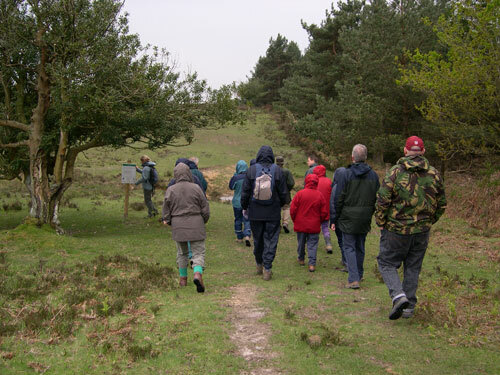 Throughout the year, Natura 2000 is promoted at local project guided walks, talks and events held in the New Forest. Presentations are made each year to groups and forums at local and regional levels - these aim to promote the project and emphasise the importance of Natura 2000. Promotion is also carried out to our stakeholder group - the Water Basin Management Forum (WBMF) - that was set up as part of the LIFE3 project. In addition, the LIFE3 project website contains a designated section on Natura 2000 which raises awareness on a local and wider European level. Site twinning / networking activities The Forestry Commission, in partnership with Fontainbleu, France, runs an INTERREG funded project called PROGRESS (Promotion and Guidance for Recreation on Ecologically Sensitive Sites). It is based around two major forests, the New Forest in the UK and Fontainbleau Forest in France. 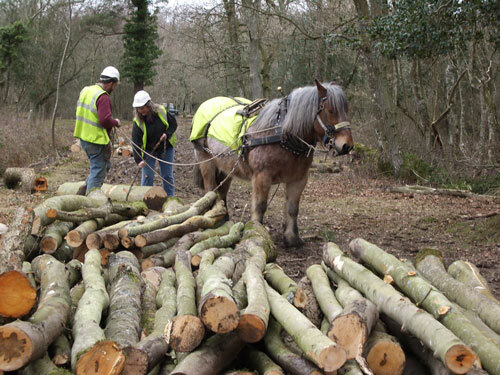 The knowledge, practices and systems used in each forest for managing recreation are shared through a programme of staff exchanges, including foresters, rangers, keepers and New Forest volunteers. The findings and lessons learned through the project are also disseminated via the project Newsletter which is produced every four months and distributed within the UK and France. At the end of the project, all the lessons learned will be compiled into a manual as a guide for other European land managers. In addition, an international conference will be held to share the project knowledge gained through presentations and papers. 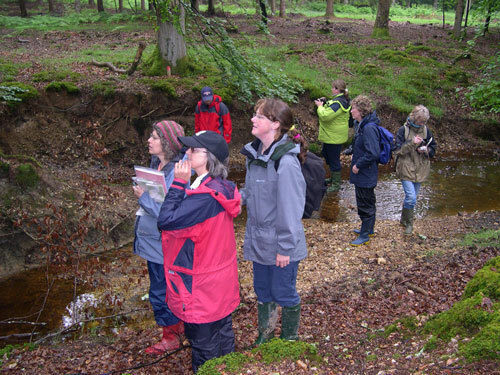 Involving local stakeholders in the management planning process - creating a local area partnership The management plan for the site actively involves the Water Basin Management Forum stakeholder group that was set up as part of the LIFE3 project. 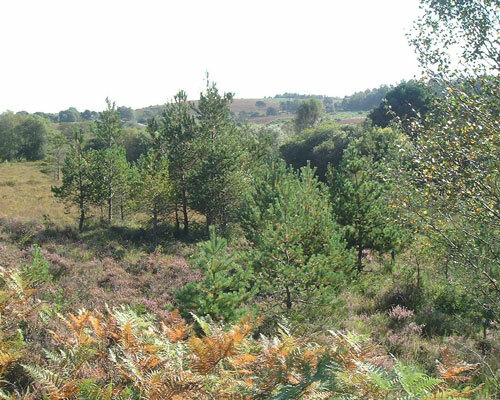 The primary landowner of the New Forest, the Forestry Commission also run a Forest Design Plan Forum and Open Forest Advisory Committee for the site which consult over management of the Inclosure Woodlands and open forest respectively. 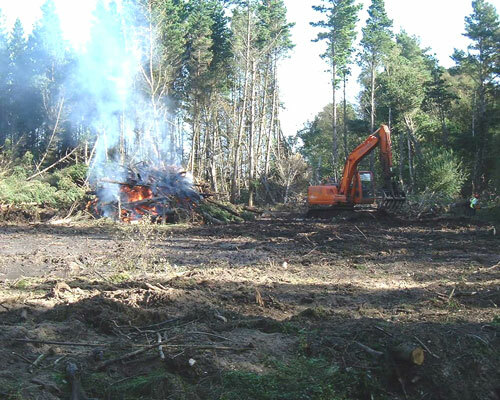 The Forestry Commission will be consulting over the review of their part of the SAC management plan in 2006/7. 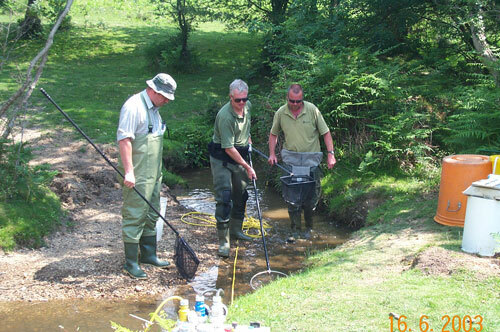 Every landowner within the SAC has their own management plan which forms part of the overall SAC management plan. 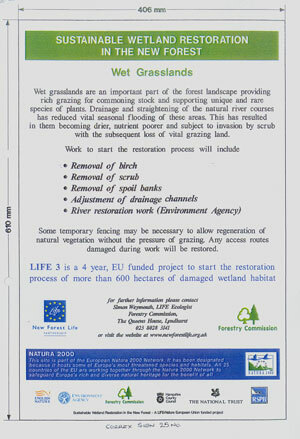 Branding Natura 2000 The LIFE3 partnership produce site signs that are erected in areas of the New Forest where LIFE3 practical restoration work is being carried out. All site signs and interpretation boards produced by the LIFE3 partnership carry the Natura 2000 logo and an additional explanatory paragraph. Agreeing to become an NNi ambassador Yes. Project partners would need to be consulted to obtain technical information that could be passed on through the Natura 2000 network. 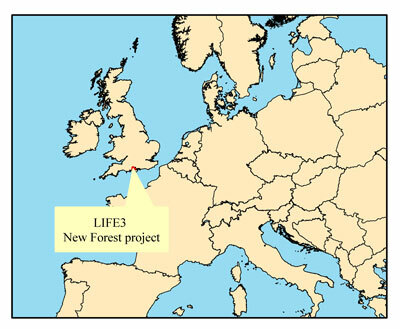 The New Forest LIFE3 project is keen to share skills, experience and lessons learnt with a wide range of land managers throughout the UK and Europe. Jonathan Mycock (Hampshire County Council, Winchester, Hampshire, UK) jonathan.mycock(a)hants.gov.uk is an NNi Ambassador.